Many drivers in the Huntington and Long Island area want an SUV that is stylish, luxurious, and comfortable, while also staying within their budget. While some might think that having all of this is impossible, Mercedes-Benz makes this possible with their most affordable SUV model, the GLA! This vehicle might just be your perfect match if you want something attractive in both price and style. How Much is the Mercedes-Benz GLA? The Mercedes-Benz GLA is the perfect SUV for those looking for Mercedes-Benz in the Greenlawn and Commack areas, without breaking the bank. The Mercedes-Benz GLA has a starting price of only $33,950 – making it the most affordable Mercedes-Benz SUV across the lineup. Even though it is the most affordable, you still get a ton of safety features, technology, style, comfort, and everything else you would expect from a Mercedes-Benz vehicle. The base model GLA 250 comes with a 2.0L inline-4 turbo engine paired with a 7-speed dual clutch transmission that puts out 208 horsepower , giving you plenty of power for any highway you are on in New York. There is generous seating for five, as well as 17.2 cubic feet of cargo room available. With the seats folded down, that number goes all the way up to 43.6 cubic feet! If you were interested in a 4MATIC® all-wheel-drive model, have no fear! The GLA 250 4MATIC® is still affordable, with a raised starting price at only $35,950! Both the GLA 250 and GLA 250 4MATIC® come standard with many features as well, giving you a true value for your money. In the GLA you can find features such as a power liftgate, dual-zone automatic climate control, ambient interior lighting, as well as hands-free *Bluetooth® all standard! Safety features you would only expect in a Mercedes-Benz are also included as well, such as Active Brake Assist, ATTENTION ASSIST®, Rearview Camera, rain-sensing windshield wipers, and much more, making this a safe yet affordable luxury SUV. 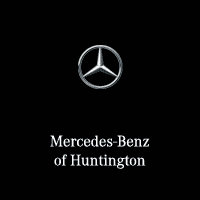 Come Visit Mercedes-Benz of Huntington Today Near Northport! If you are in the East Northport, Huntington Station, or Huntington area and looking for a new SUV filled with luxury, style, and safety and for a good price, come check out the Mercedes-Benz GLA at Mercedes-Benz of Huntington today! Call us today at 855-777-9693 to schedule a test-drive, or come down to the showroom today to take a look for yourself. 0 comment(s) so far on What is the Most Affordable Mercedes-Benz SUV?